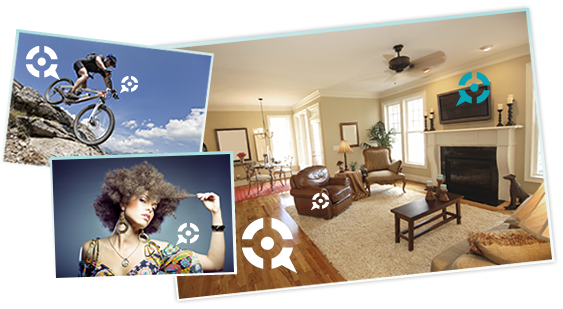 Turn your static images into rich interactive media experiences that can be shared and measured! Images that are marked up with interactive hotspots receive greater user engagement than traditional images. Provide a multi-media experience that unlocks the stories contained within your images by using ImageSpike today. Mouse over the image on the right to try it! Sure users could manually copy the URL of an image and post it on FaceBook, but what if instead, they could simply share the photo by clicking a simple share icon overlayed on the photo? Or what if the individual elements of a photo could be pushed to Twitter or other social networks? 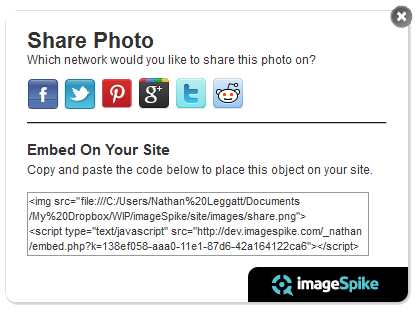 With ImageSpike your photos become social. Our photos also have an easy to use embed code that other users can use to cross post your images on their own blog or website. When users repost your photos not only can you see where they were shared, but the interactive tags also go with the photo! 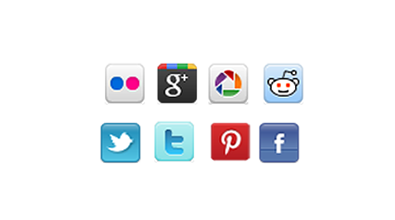 This means you can track user interactions across multiple websites. Give your brand advocates and users the ability to promote your products through viral interactive images. When you leverage the ImageSpike hotspot generator's SEO component, your interactive tags will contribute and cause your site to move up in Google search results. 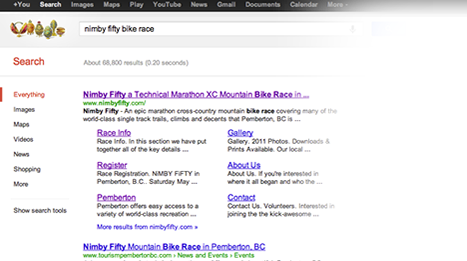 Now, just by tagging your images, you'll contribute to your SEO efforts. No two sites are the same, therefore, we allow you to customize the visual elements of the tags and hotspots as you want them to appear on your site. ImageSpike provides a theme builder that allows you to customize almost every element of the tag interface, right down to the tag icon! Why not make your tags your logo! What's the fun in just a tooltip tag? 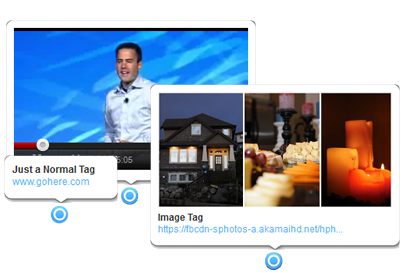 We give you the ability to create tags with video, images, galleries, and even custom content from your own html. Now you can create an immersive experience within the photo - just how you want it. Users constantly rave about how simple and easy to use our admin panel is. We give you the power to manage your tags, view reports, change settings, and customize your image experience via an intuitive admin interface. The ImageSpike Photo Tagging Platform gives you comprehensive reports of user engagment with your photos and tags. Find out which tags/products users are interacting with most often. 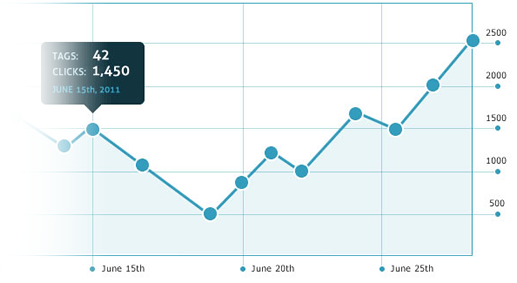 See which photos are being embedded on other sites and how many impressions the photo is generating. Gain insight and a better understanding of how your photos are generating a tangeable and measurable ROI for your site. The requested URL /getTagDataHtml was not found on this server.